Liz from Sequins and Stripes recently posted a recipe for pasta carbonara and I HAD to try it. 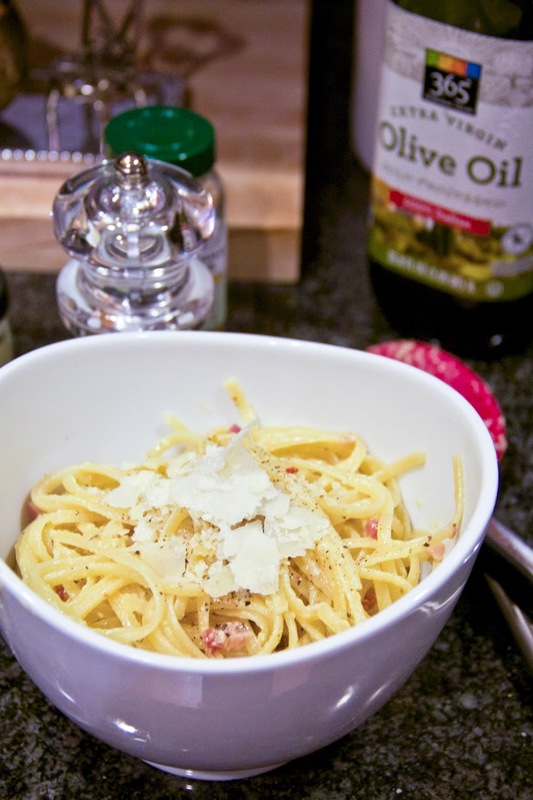 I am often weary of ordering carbonara since it can sometimes be super heavy and creamy, but this sounded easy and delicious...and I've made it twice in the past week. That's Liz's photo above and find the recipe here!